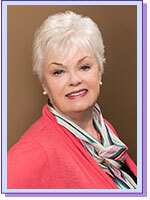 A certified handwriting analyst since 1994, Mary Ann Matthews is the owner of handwriting.ca. Having a background in Human Resources as the Staffing Coordinator for a major real estate developer, Mary Ann’s area of expertise is in compatibility issues – whether it’s learning about that new person in your life, hiring a nanny for your children hiring a new employee, building a team, or finding out why a person gets along better with some people rather than others. Mary Ann has made radio and TV appearances on Toronto Life, Talk Local, EZ ROCK 97.3, Riley, Neighbour to Neighbour, the Erin Davis Show, Chat TV, Dufferin-Peel Living, Daytime TV Show, City Magazine, and Girlz TV. Published articles include ‘The Candidates’ Scrawl Tells All’, ‘Different Strokes’, and ‘Can the Pen Be Mightier than a Real Job Interview?’ which have appeared in The Globe & Mail; ‘Key Signatures’ in The Winnipeg Free Press; ‘Handwriting – It’s Really ‘Brain’Writing’ in Business Woman Canada and The Good Life. Mary Ann has a chapter about herself in a book entitled ‘The Courage to Succeed’. Articles on handwriting analysis are currently appearing in Women with Vision magazine. Co-President of the Ontario Chapter of Graphoanalysts.